We had a very odd weekend here in Atlanta. Rain, more rain, more more rain, sun, clouds, more rain and the temperature was never very warm. Saturday would have been the PERFECT day to get some sewing done if I hadn’t been so unbelievably busy! Actually, I did finish two items that I’ve been working on for a while and I’m THRILLED to have them finished. But that’s not why you’re here today! Let’s talk GIVEAWAY! 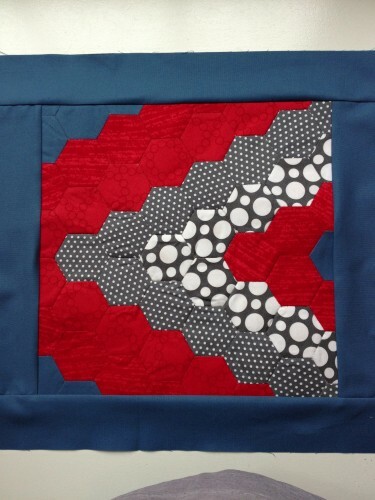 I love giveaway week over at SewMamaSew. I mean, who doesn’t love giveaways!! If you haven’t had a chance, you should check out all the giveaways they have going on this week, it’s awesome. I mean, you’ll need to sit down with a ton of time and a cup of tea to enter them all but you never know, you could win! The flip flop shirt is great for your little lady for the summer or you can choose from the watermelon truck for you little guy! And really, if you have something else in mind that you’d prefer, we can definitely work together and come up with a new idea. I’m totally flexible! 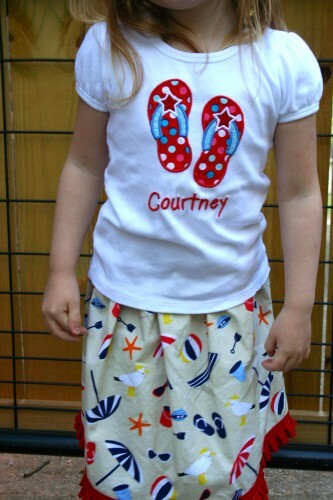 The shirts are 100% cotton, prewashed, and perfect for summer fun. I’ll ship to you, anywhere in the world, and I’d love for you to enter my giveaway today. The only caveat… Let’s see… Why don’t you tell me where your favorite vacation spot is OR where you’d go if money and time weren’t a factor! 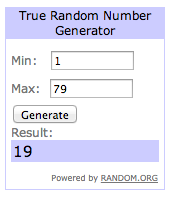 I’ll choose a winner via random number and will close this post on May 10th at 8EST. Michelle Frame – And she’s taking me to Bali or Fiji!! OK, not really but YAY for Michelle! London is my favourite place in the whole world for history, shopping, and the theatre. If money were no object I would love to tour Italy. Thanks for a fun giveaway, I am sure my niece would be cute in the t.shirt. Cute shirts! Greece is definitely on my vacation wish list. Deep blue waters, pristine white buildings, delicious Mediterranean food, and a spirited culture of community…what’s not to like. skirt would be perfect for my girl,she love to dress up.My dream vacation is Maldive,hope to visit it someday.Amazing giveaway,thank you for the chance to win it. We love the beach and travel to the same little spot in Murrells Inlet, SC each year. I love cruising the Alaska….so beautiful…so much to see and do….tho, I would like to go back to Paris with my Husband for an extended visit of museums, food and shopping. I’m in love with those shirts! I would go to Papua New Guinea! I’d love to win that cute truck shirt for my youngest gradson. I’d like to visit all 50 states sometime in my life. I’d love to visit NewZealand! I would love to visit Japan…..just to buy their fabric and pattern books. I would love to visit Machu Picchu! Or anywhere tropical. I’m not too picky. If money and time weren’t a factor, Fiji! Would love a cute summer shirt for my boy! One of our favorite vaca spots is Bald Head Island. So peaceful and pefect! We always love going to Beverly Beach on the Oregon coast. I would love to go to Paris someday! I would take a cruise to Alaska. I’d love to go back to Italy, I had a wonderful trip there years ago! 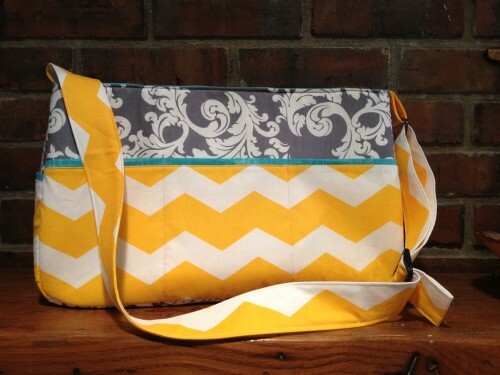 On an unrelated note, what is the pattern for the yellow chevron bag above? I love it and I’ve been wanting to make something similar but haven’t found a good pattern! I would love to go to to Bali or Fiji. I love European cruises! Well, really ANY cruise is lovely. A floating hotel! Brilliant. That bag looks fabulous, and the shirts are very sweet. Thank you for the chance! Hello, adorable t-shirts. If money and time weren’t an issue I’d visit Hawaii – all of the islands. Thanks for the chance to win. We love and go every year to Myrtle Beach. If money wasn’t an option we would take the little man to Disney. We are hoping to take him in two years, plus then he’ll be five and would be more likely to remember it! My husband went to Italy for work a few years ago and loved it. I would love to go there with him in the future! If money and time were not a problem I would go to New York City and then travel around the country seeing all the spots I always wanted to see….that would be fun and relaxing! If money and time weren’t an issue I’d love to go to Paris! Now that spring/summer is finally here in MN I would choose to stay here for a vacation. Last week however, it snowed here and I would have loved to get out of here for a vacation to anywhere tropical… maybe the Atlantis in the Bahamas. I’ve always wanted to go somewhere north during the winter, like Alaska, to have a couple good nights of watching the Northern Lights. I live in Atlanta too, and the weather was extremely odd. A huge oak tree fell in our neighbor’s yard and shook the house! I’d like to go to Iceland or Greece! I would love to to visit Seoul, Korea! Thanks for the awesome giveaway. I’ve always wanted to vacation in the Mediterranean. Italy or Greece would be fantastic! If time and money were no obstacle I would love to travel completely around the world without using any flights! It’d take me a while but it would be amazing! I would go to the Cook Islands – we were gonna go for our honeymoon, but decided to spend the money elsewhere. It is beautiful! The t shirt is cool. I would like to go Greece. My dream trips are to visit Hawaii or the Caribbean (for the warm ocean water), and Europe (for the architecture)! I would love to travel trough Canada and Namibia if I had the money. Many greetings from Spain! I’d love to take my family on a Disney cruise! If I had a choice, I’d live somewhere where the temp is 60-75ish all year! My husband really wants to go to Antarctica, so I’d pick there. Thanks for hosting! European river cruise. Thanks for the great giveaway! Disney World is our favorite vacation spot but I’d love to tour Europe if money weren’t a factor! We will be taking a trip to Isle of Palms, SC one of our favorite vacation spots. Loving the beach!! My favorite vacation spot so far has been Maui, hawaii! It was beautiful! Thanks for the giveaway! Paris is at the top of my bucket list. I would love to go to the UK and explore all over it. thanks for the offer, those shirts are cute. Our favorite vacation spots are quiet private spots in the mountains. We love to camp. However, if money and time were not a factor we would love to spend time wandering Scotland or Italy or British Columbia. I’d love to go to the Netherlands. I love to visit Tokyo, Japan.. Thanks for the wonderful giveaway!!! I would love to go to Italy!!! I’d love to go to London. Thanks for the giveaway! I would love to visit Hawaii. I would go to Ireland. And I might not come back! Definitely Penang, Malaysia! Best place on earth. I’d love to go to Meteora, Greece! We honeymooned in the Big Horn Mtns in Wyoming – I’d love to go back. I love the central coast of California. Thanks for the awesome giveaway! I love that little girls shirt. My favorite so far is Yellowstone. Thanks for chance to win. I’d love to visit the Caribbean! I’d love to go to Ireland. But that getaway has to wait til the wee ones get a bit bigger. 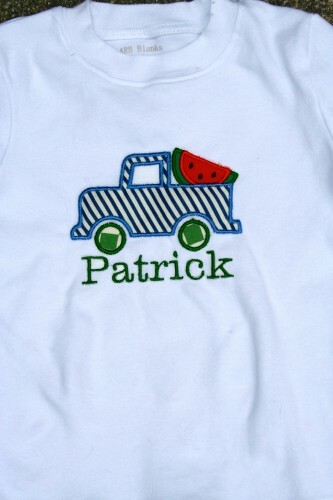 Love the watermelon truck tee! If I had an endless supply of cash…I would have to visit Japan and then New Zealand. I’d love to tour Europe if money were no object! I love the beaches of Cape Town South Africa!